Who likes pigs? 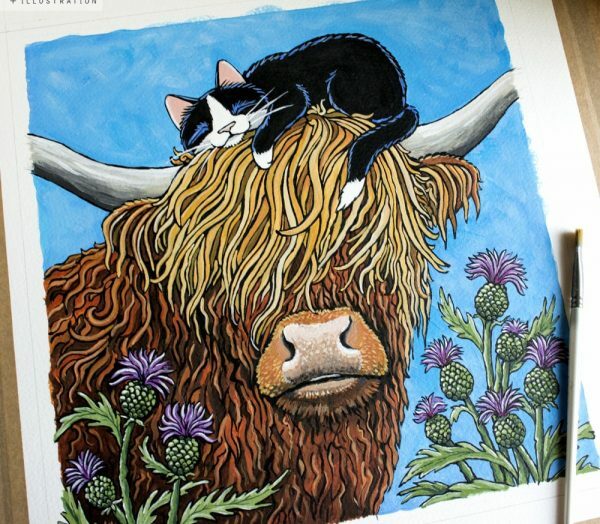 I have a couple of new paintings for sale on Etsy this week. 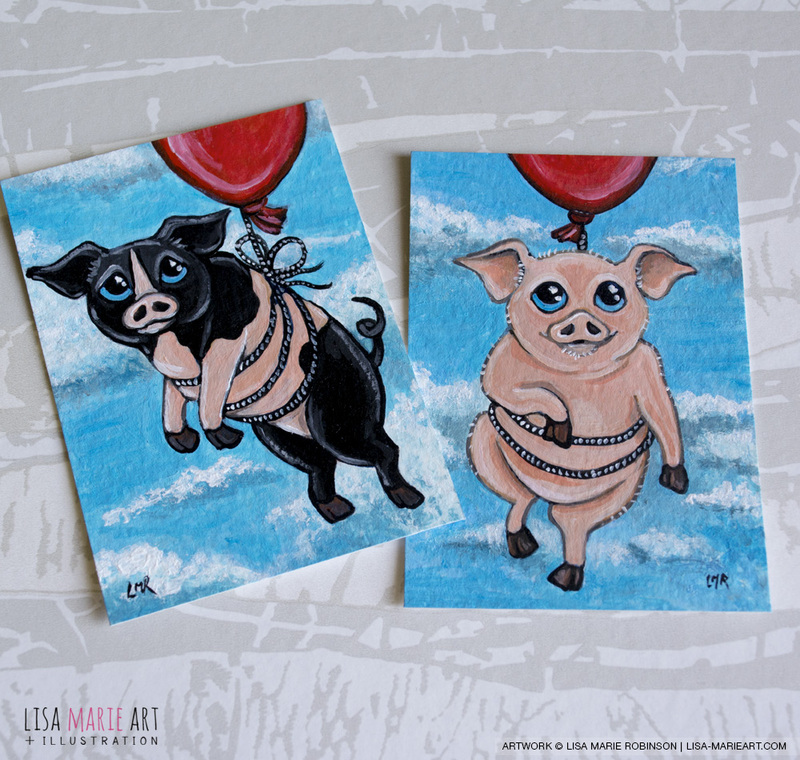 These cute pig ACEO art cards are inspired by that popular pig based phrase, When Pigs Fly! 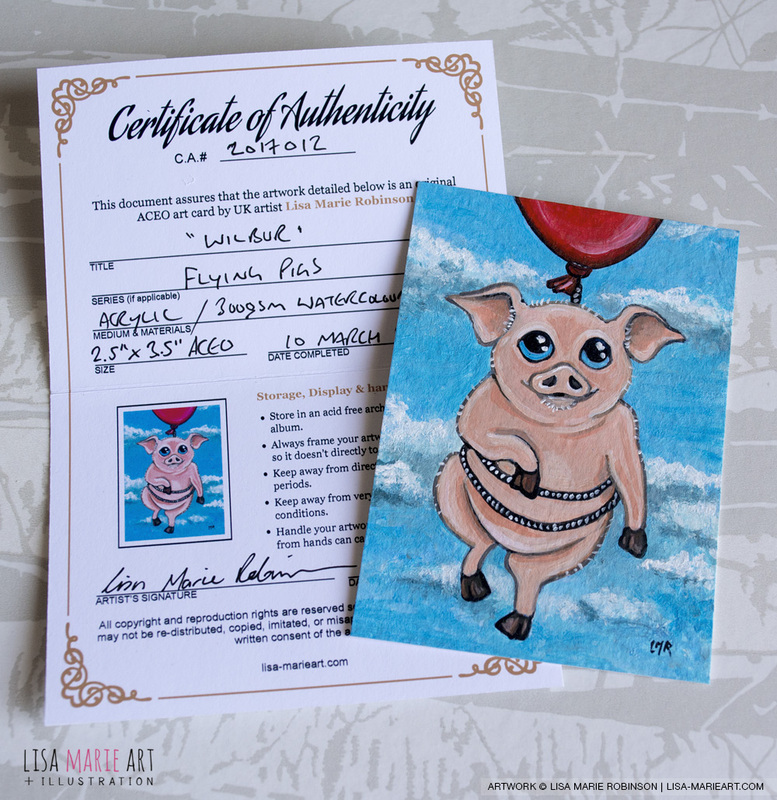 Well, in this instance, pigs can fly, but only when they’re tied to a big red balloon. 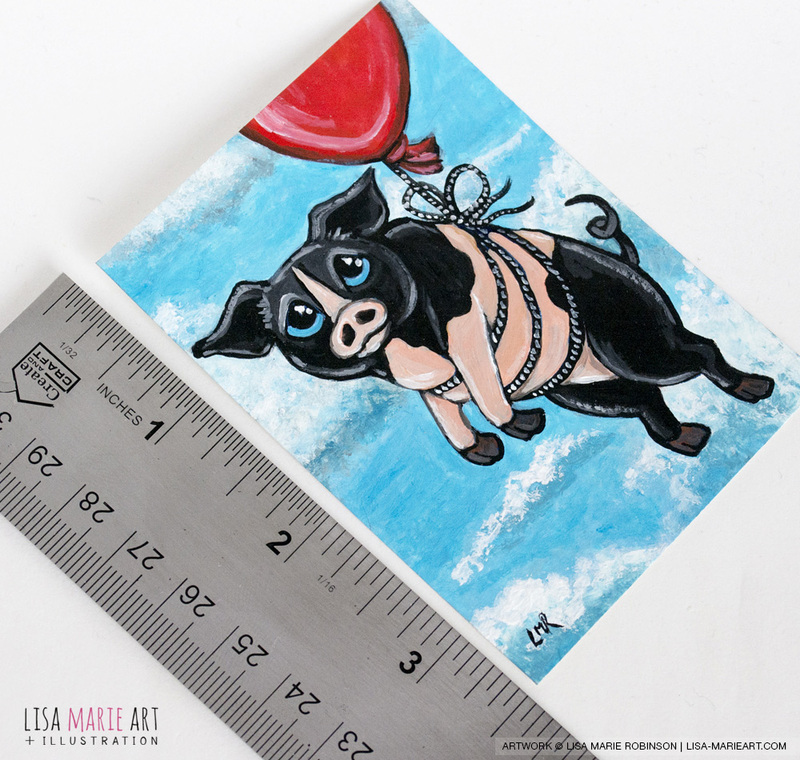 These little piggy illustrations have been painted using acrylics on 300gsm cold-pressed Cotman watercolour paper by Windsor & Newton. I’ve used this paper since my university days and although I’ve tried many others I always come back to this one as I love the texture. Not too rough, not too smooth. 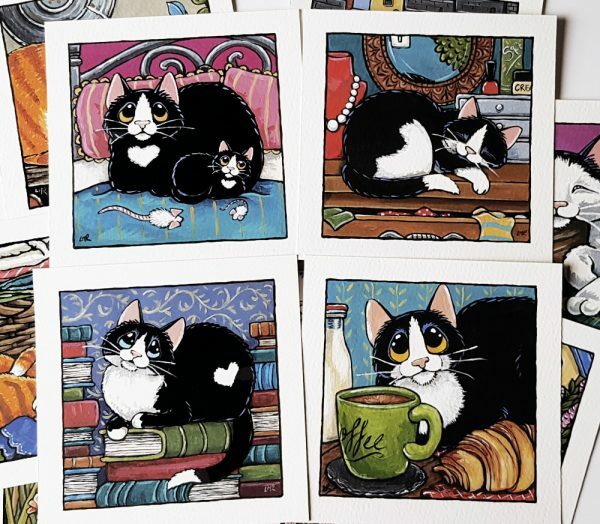 Both of these ACEO art cards are available to buy from my Etsy store. 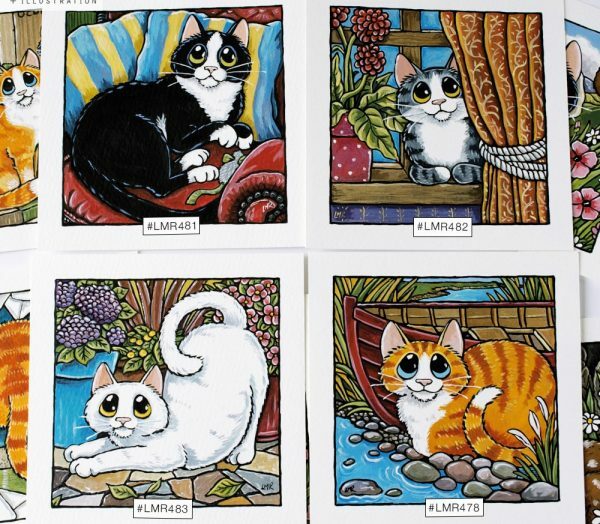 They come with a Certificate of Autheticity, an acid-free soft protective sleeve, and handmade envelope. More details available on the Etsy website.